Growing Scarlet Piripiri photograph by Vernon Hyde. As a member of the 100 plus strong Acaena genus, it is a member of the Rosaceae (Rose) family. This genus is largely native to the southern hemisphere, and Acaena microphylla is a native of New Zealand. Many Acaena genus members are considered to be invasive in some countries (e.g. Acaena novae-zelandiae in the UK and California). 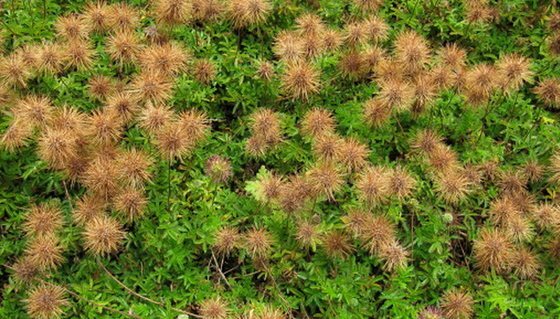 As Acaena microphylla has a creeping growth habit you should be aware that it may need to be controlled to prevent it spreading from/throughout the garden and into the local environment. As plants can tolerate being trodden on they are ideal for growing in between paving or flagstones. Acaena microphylla is a prostate mat growing evergreen herbaceous perennial that can reach 10 cm (4 inches) in height, but heights of around 3–5 cm (1.5 inches) are more common. They usually have a spread to about of 50 to 100 cm (20–40 inches), and it takes two to five years for them to reach their full potential. Leaves can reach 3 cm (1.2 inches), are a bronze-green color in the spring, pinnate, and have serrated edges. Flowers appear in the summer, are greenish or white, and carried on tiny spikes. The fruiting heads occur in the summer and early autumn, and are reddish burrs of approximately 2.5 cm (1 inch) in length; these give rise to the plants common name of New Zealand Bur. Their low growing mat-forming growth makes them an ideal rockery or ground cover plant; they are also often used for banks, edging, as a container plant, or in a gravel garden. They can grow in full sunlight or partially shaded conditions. Soil type: They require a well-drained soil. Light. Can grow in most soils, but may perform best in sandy soils. Space at about 8 to 12 cm (3-5 inches). 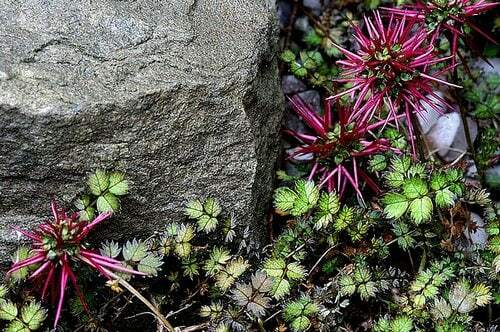 Care: Acaena microphylla should be controlled to prevent spreading, do this by pulling out newly rooted stems. Do not let stand in water as this can lead to rot. Cut back in spring. They are easy plants to care for and are drought and deer resistant. 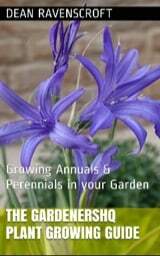 Propagate by division in spring or autumn.